Archeologists continue to unearth information about what happened during one of history’s most horrific chapters. For researchers, insights from these findings are enhanced by the emotional and historical context offered in testimonies from people who experienced the Holocaust. USC Shoah Foundation Visual History Archive encompasses 54,000 in-depth audio-visual interviews with witness and survivors of genocide. International news reports earlier this month revealed that archaeologists uncovered a pendant at the site of a Nazi extermination camp in eastern Poland. 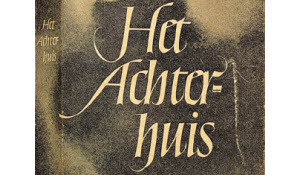 The design and message on the charm indicated a possible connection to teenage diarist Anne Frank. While this distinctive, triangular-shaped pendant, engraved with the words “mazel tov” (Hebrew for “good luck”), was excavated at the site of the Sobibór death camp. Frank, who died at the Bergen-Belsen concentration camp in Germany, is seen in photographs wearing a similar necklace. The birthday indicated on the newly discovered charm is July 3, 1929, etched above the word “Frankfurt.” Frank was born in Frankfurt – on June 29, 1929. Researchers delved into the Yad Vashem online deportation database and found among the list of Jews who had been deported from Frankfurt to ghettos or extermination camps only one name matched the particular city and birthdate on this particular pendant: Karoline Cohn. One leading theory suggests that in September 1943, 14-year-old Karoline Cohn undressed and waited to have her head shaved before taking her last steps into the gas chambers. It was then that the pendant fell between the wooden floorboards, not to be discovered until more than 70 years later. Through this discovery, the world now knows that a girl named Karoline Cohn existed. But so many questions remain. Who was she? What was her connection with Frank? How did the two girls, born the same year, in the same city, and who met the same fate, end up with identical charms? Were they related – cousins, perhaps? Or was it coincidence that the parents of each young woman purchased the same pendant to commemorate the birth of their daughters? Along with eyewitness accounts of survivors, archeological excavations are one of the only ways that remain for us to learn about the people who suffered in the Holocaust. Personal objects like the pendant found at Sobibór can remind us of the fragility and depth of each human who experienced these incomprehensible horrors; and should remind us that each life is rich with attachments and treasures, duties and obligations, friends and family, fears and love. 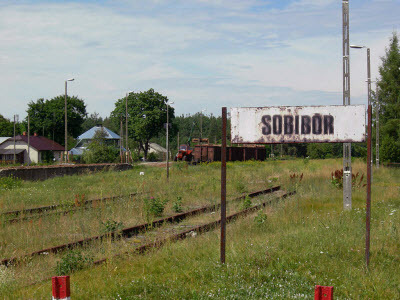 The Sobibór extermination camp is among those that were razed by German forces in attempt to cover their crimes. Because so few prisoners survived the camps, which served not as labor camps like some others, but for the express purpose of extermination, few details are known about what occurred at these locations. Since 2007, the Israel Antiquities Authority in partnership with Yad Vashem has been conducting excavations at the Sobibór site to change that. In 2014, archeologists uncovered the site’s hidden gas chambers, which had long been buried and paved over. With each dig, more personal artifacts, such as wedding bands, coins and keys, hairpins, watches and children’s items, are surfaced to reveal clues about the 250,000 lives that ended there. The pendant that belonged to Cohn was just unearthed October 2016, along with similar items. In addition, thousands of personal objects from victims who died at Auschwitz II-Birkenau were also discovered in 2016. Originally, these artifacts were excavated in 1967, and official registries had record of 400 found items, such as shoes and clothing, jewelry, silverware, buttons and teeth. However, film footage of the dig indicated that more many objects had been discovered. But where were they? Historians from the Auschwitz Museum found the last living members of that excavation team, and together they tracked down the missing objects. Experts say the 16,000 rediscovered personal belongings had been collected from prisoners sent to die in the gas chambers. Packed away in 48 cardboard boxes at the Polish Academy of Sciences, one theory about why they remained hidden for so long is that political upheaval broke out in Poland shortly after they’d been unearthed. Under anti-Semitic communist authority, the project may have been put on hold, and then forgotten, until now. Unlike the camp at Sobibór, or the ones at Treblinka and Bergen-Belsen which were designated death camps, Auschwitz II-Birkenau was an extermination camp and labor camp where many prisoners were forced into work. One of the jobs for women involved sorting clothes, shoes and other belongings taken from prisoners upon their arrival. These personal items were stored in warehouses around the camp, sorted, and shipped back to Germany for use there. 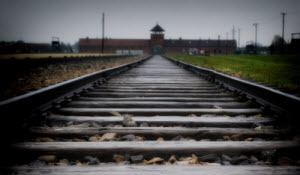 Storage locations near two of the crematoriums at Auschwitz II were called "Kanada” because that distant country was considered a place of great riches, regarded as a land of plenty. 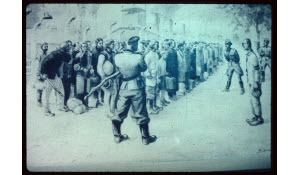 For researchers exploring topics such as forced labor, gender or personal property and the Holocaust, a basic search using the keyword “Kanada” in the USC Shoah Foundation Visual History Archive returns 368 testimonies from Holocaust witnesses and survivors who had some experience or involvement with this operation. Such memories, shared firsthand by the people who were there, provide intimate depth and dimension to the news of excavation and the discovery of personal items as highlighted in current headlines. Susan Rubin is one of the survivors from Auschwitz II whose story is preserved in the Visual History Archive. Her experiences sorting clothes at an operation similar to “Kanada” are recalled in an emotional testimony where she described “suitcases and belongings, collected in mountains, rain or shine,” thoroughly searched and sorted by 50-100 women prisoners. “We had to take out the clothes and shoes and toothpaste or anything that people brought along, and put it all in certain order,” she remembered. The toothpaste tubes, Rubin explained, often contained hidden diamonds, money or other valuables, which were also frequently concealed in pockets or sewn into the hems of garments. While there was no temptation for the prisoners to steal these items – “Why would we want to?” Rubin wondered – they were further deterred under the strict authority of other prisoners who were appointed to oversee these operations and search workers at the end of their shifts. Even the slightest suspicion of thieving resulted in brutal beatings. Rubin remembered these inmate overseers as “worse than the Germans” – they had close ties with the S.S. and special privileges, and just enough power to abuse. On January 27, 1945, Auschwitz II-Birkenau, the largest Nazi concentration and death camp, was liberated by Soviet troops. In 2005, every member nation of the U.N. voted to set aside the date as International Holocaust Remembrance Day. The day is meant to honor the memory of all of those who suffered, and to encourage the development of educational programs about Holocaust history to help prevent future acts of genocide. The USC Shoah Foundation has compiled clips from 70 testimonies from Holocaust witnesses and survivors who share their personal experiences of Auschwitz in the Visual History Archive. In commemoration of the camp’s liberation, these clips are available on YouTube and as a Google Institute Channel playlist. ProQuest is honored to be in partnership with USC Shoah Foundation Visual History Archive to offer this material in its entirety to a broader audience and to contribute archival-quality transcripts of all of the testimonies. With each dig, more personal artifacts, such as wedding bands, coins and keys, hairpins, watches and children’s items, are surfaced to reveal clues about the 250,000 lives that ended there. The pendant that belonged to Cohn was just unearthed in October 2016, along with similar items. Originally, these artifacts were excavated in 1967, and official registries had record of 400 found items, such as shoes and clothing, jewelry, silverware, buttons and teeth. However, film footage of the dig indicated that many more objects had been discovered. But where were they?